Goldenseal root is a natural, extremely strong antibiotic that is an excellent infection fighter together with many other healthy properties. It is said to be one of the best ways to help clear up the common colds and flu as well as other infections. Although not so well known, Goldenseal root can be bought in many health food or herbal stores, but sometimes you may have to search for it at larger stores online. Goldenseal by itself can be purchased in both root or leaves pill form. It is however, more often sold in a combination herbal solution with other herbs such as Echinacea. The root variety is the strongest and also the most expensive. 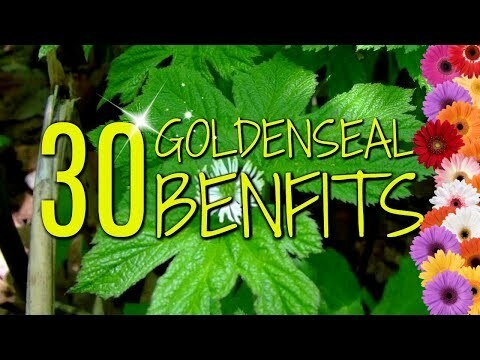 Buying Golden Seal supplements made from the leaves and stem work quite nicely as well. However, it is not recommended to buy the tablet form but rather the capsule form, with the ground root or leaves inside. This allows the herb to stay as close to it's natural state as possible. Also, apart from the outer capsule, there are no other additives that may be more harmful than good for your body. Capsules are also absorbed more easily than tablets. Goldenseal root has a wide variety of uses and is considered by many people to be a cure all herb. For instance, it can be mixed into a salve and used as a contact healer. You can also take Goldenseal to reduce swelling, and it is said to actually stop internal bleeding as well. It can be made into a tea to be used for nose drops or to drink for a sore throat. The tea can also be used as a mouth wash to get rid of canker sores or you can mix White Oak Bark into Goldenseal tea to use a rinse after oral surgery. However, you should be aware that Goldenseal root by itself is somewhat bitter to the taste. Goldenseal root is a natural source of insulin, so it can lower your blood sugar when you take it. Because of this, anyone with low blood sugar problems such as hypoglycemia should not take Goldenseal by itself, particularly in large doses. You can however, take it in conjunction with licorice root to help combat the insulin effects, or simply take another herb called Myrrh instead of Goldenseal. Take one capsule of Goldenseal either root or leaves together with some pure Aloe Vera juice or gel. Open the capsule of Goldenseal and pour the powder into a plate, then mix in enough of the Juice or Jelly to fully mix in the powder. This makes a rather disgusting looking greenish mixture which may discolor skin. Smother the salve onto the problem area, and if needed cover it with a clean gauze bandage or band-aid. Leave the bandage or covering on overnight, then wash well in the morning. In most cases there is already noticeable healing just from the overnight treatment. This can be used both internally and externally. Open one capsule of Goldenseal root, shake the powder onto a plate or dish of some kind. Open one capsule of White Oak Bark and empty it's powder onto the same dish. Mix in a small amount of pure Aloe Vera gel until combined well. Slather that onto the hemorrhoids at night before you go to bed. By the time that you wake up in the morning, the hemorrhoids will more than likely have gone.